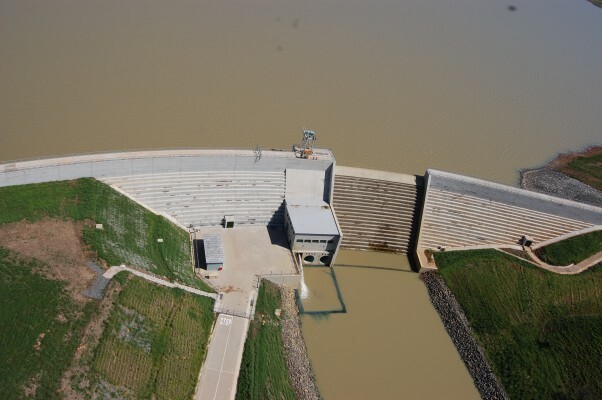 The Ingula Pumped Storage Scheme project in the Little Drakensberg has made significant progress since its inception in 2004, steadily surging towards its 2015 completion goal. When up and running, this hydro- power station will serve South Africa’s increasing demand for peak energy to meet the demand of a growing industrial sector and a successful rural electrification programme. The Braamhoek Joint Venture led by GIBB was appointed for the design and construction supervision of the project. 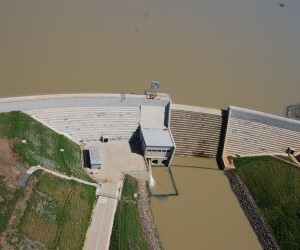 The project, which includes the 40m high RCC Braamhoek Dam and 50m high CFRD Bedford Dam (both completed in 2011), two caverns, four surge tanks, four drainage and ventilation shafts and over 14km of tunnels, is set to be the largest hydropower and tunneling project in southern Africa. Located in the Drakensberg mountain range between Harrismith and Ladysmith, the Ingula Pumped Storage Scheme aims to generate a capacity of 1 332MW, with an energy storage capacity of 21 000MWh (15.8 generating hours). According to Colin Logan, Technical Executive of Dams, Hydropower and Underground Works at GIBB, the project is on track with the last stages of excavation currently taking place. The first of the four 333MW pump turbine units is expected to be commissioned in the second quarter of 2014, with the remaining units to start commercial operation in 2014 and 2015. “To date, excavation of the surge chambers is 76% complete and the surge shaft’s concrete lining commenced in January. With regard to progress on other underground structures, work on the installation of the steel linings for the high pressure inclined shafts is 40% complete. We will use approximately two kilometres of steel lining for the two underground waterways,” says Logan. In total, there are four pumped storage stations in South Africa, which include Ingula. “We are proud to be an integral part of the largest hydropower and tunneling project in South Africa,” says Logan.